The scaffolding is starting to come down and it’s exciting to see the progress out at Broadstone Makers Quarter. 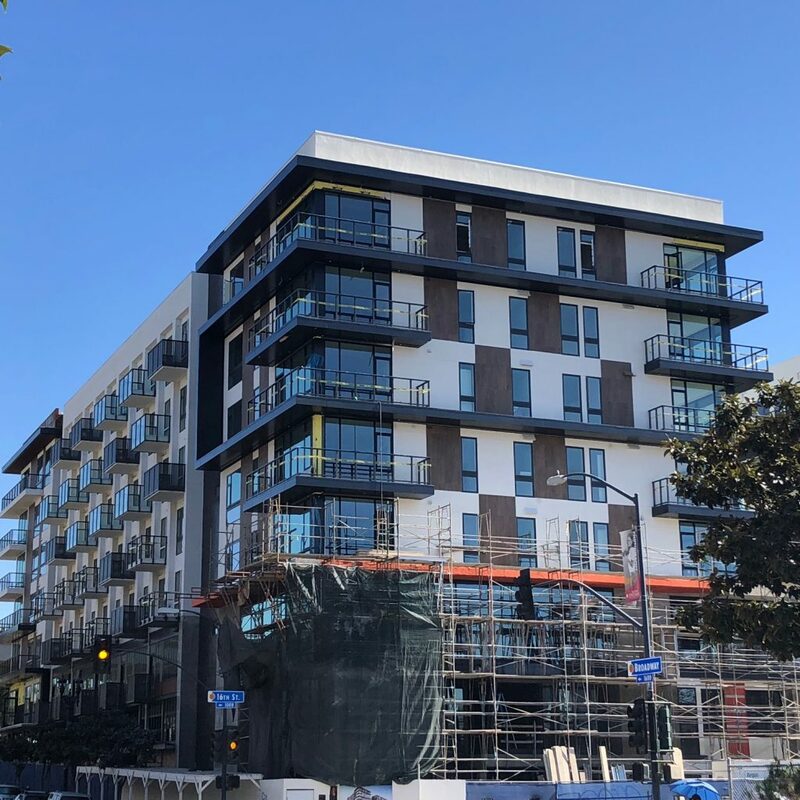 9,000 square feet of Laminators Incorporated Graphite Metallic Omega-Lite panels are being installed on several sleek accent bands throughout this 265 unit, mixed-use project in San Diego’s bustling Upper East Village. The Omega-Lite ACM panels are being installed with Laminators proprietary and field fabricated Clip & Caulk installation system.